Club Penguin Cheats by Mimo777 Club Penguin Cheats by Mimo777: Club Penguin Amulet For ALL! Saweet! 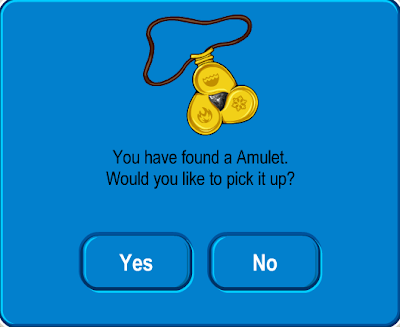 ALL penguins, even non-members can now get the Club Penguin Amulet! Step 1. Click your map! Step 2. Go to the Dojo Courtyard. Step 3. Go into the Ninja Hideout. Step 4. Click the Martial Artworks Catalog in the lower right corner. Step 5. Go to page 1 of the Catalog and click "Buy." Whoa! This is so cool! Aren't you glad everyone is gonna be able to play Card-Jitsu soon? Where did you find this!? Where do you get the Amulet? somebody help me, I have the amulet but i can on enter the fire/water rooms - I am a non member but i should be able to enter, shouldnt I? I have also tried taking everything but the amulet off but that isnt working either :/ HELP!! Omg Popalex you said ur from Romania and I go there all the time ! That's my fav country !! Salute ! I got my Amulet just now!!! How come I still cannot play fire and water? Sorry, you won't be able to play Card Jitsu Water/Fire until the party comes if you are not a member..